This is a very hard to question to give a short answer to. The truth is that there are no easy magical solutions to get out of debt. They all require dedication and work. The good news is that it usually is easier than you think to get out of debt and if you devote yourself to it you will start to see result rather quickly. You will soon start seeing your debt levels going down and your monthly payments going down freeing up money that you can use to pay of the rest of your debt quicker. The first question you should ask yourself is whether paying of your debt is the right option for you. If you have very large debts in relation to your income it might be a good idea to consider applying for bankruptcy or debt settlement instead. Both these options will effect your credit score negatively but can sometimes be the best option. 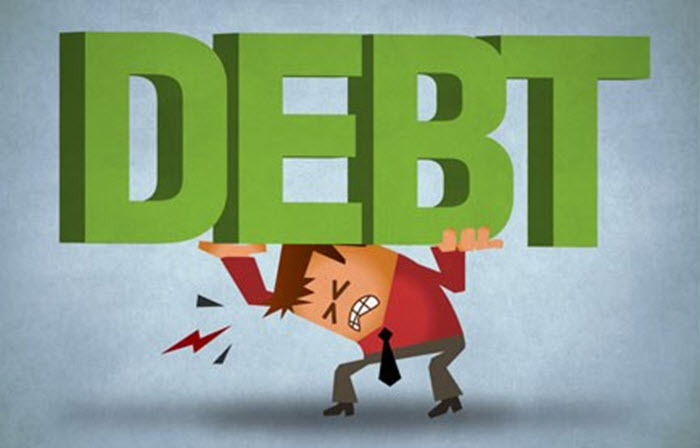 If you go through a bankruptcy you will shed all or most of your unsecured debt. A bankruptcy will affect your credit score for 10 years. This might however be the best option in some situations. From this point on we are going to assume that you have a high debt where the best option is to pay it of. The first thing you should do is to analyze your economy and keep a book of all your expenses so you know what you spend your money on and where you can save money. It is also a good idea to try to get a low interest loan that you can use to pay of high interest credit cards. Reducing the credit cost will make it a lot easier to pay of your debt. By using internet loan comparison websites such as Norskkreditt.no you can find low rate loans that you can use to pay of your old loans and reduce your monthly payments. Once you have analyzed your economy you should have an idea how much money you can safe each month to pay of your debt. Most individuals can save 10% or more of their income. This is true even for all us that never have any money left at the end of the month. The trick to being able to save this money is to use the amount you have decided to save to pay of debt at the beginning of the month. It will be much harder to have the money left at the end of the month. It is a lot easier to not spend the money if you no longer have it and the sacrifices you have to do will likely feel a lot smaller than you expect. Giving up smoking and reducing your alcohol and candy consumption are usually very good ways to save money. You should have a strategy for the order in which you are going to pay of your loans. The financially best order is to start with the loan with the higher interest rate and pay it of first. Than you move on to the loan with the second highest rate and so on. A lot of people do however prefer the snowball method. This method is designed to help keep you motivated by allowing you to reduce the number of debts you have, the number of bills you need to pay each month, as quickly as possible. If you want to use the snowball method you ignore the rates of your different loans and order them in order of size. You start by paying of the smallest loan, once that is paid of you move on to the second smallest loan and so on. This method allow you to see a lot of progress quickly and rewards you for having started paying of your loans. The snowball method is not the most efficient way to pay of your debts but it can often be the best and it is the one I would recommend that you use. It makes it a lot easier to stay motivated and to keep the motivation that is needed to pay of your debts. Previous story Are Binary Options a good way to invest ?